The a7 was a brilliant camera and converted many to the full-frame mirrorless future. However it wasn't actually one camera, but rather a platform of three cameras including the a7R and a7S. The same body was paired with normal (24 megapixels), low (12 megapixels), and high (36 megapixels) resolution variants designed for distinctly different purposes. The resolution trade-off is a changing balance between detail, sensitivity, and write speed. This tripartite family of cameras is a tacit demonstration of the flexibility of firmware. Step back for a moment and think about the 35mm interchangeable lens film camera. The camera body was simply a shell for integrating a lens and film, the two main controls on your photography. Sure the mechanical components were complex, but the creative options were wide when changing these elements. The same is of course true for digital photography, except you can't change the sensor. Sony's solution is to produce the same camera with sensor variants in each type. It's an obvious solution and therefore even more surprising that leading camera manufacturers haven't approached the problem in the same way. It's also worth bearing in mind that varying the sensor also affects other elements of a camera's performance, notably autofocus, burst rate, and video. I'm a Nikon shooter, so if I am interested in the pro features of the D850 I need to have the 46-megapixel sensor that ships with it. What happens if I want a low-light D850 for reportage? That might mean something like a Df, although that's getting a bit long in the tooth now. Or how about a "normal" resolution version for sports photography? Nikon would prefer I used a D750 or D500. The traditional model for camera manufacturers is to have a broad "platform" with similar ergonomic designs and firmware, but differently specified cameras. What you find is that these cameras are developed incrementally and borrow technology from existing models, adding a dash of their own spice in to the mix. The D750 inherits elements of the excellent autofocus system from the D4S (but with a newer chip) and a sensor similar to the D610 while also introducing a tilting LCD screen. In short, manufacturers produce unique variations on a theme. Yes they identify a market segment and produce a camera for it, but they are incremental improvements and offer opportunities for both trickle down and feature testing. 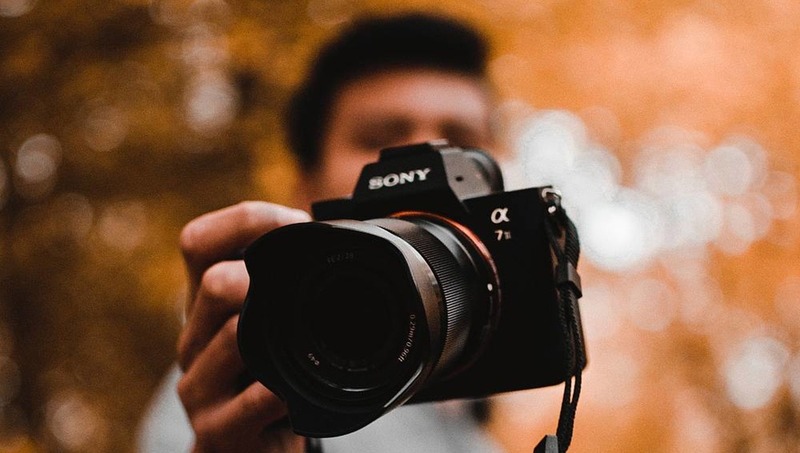 Sony has changed that approach with one "general purpose" camera design utilizing different sensors that can be tailored to targeted niche users. The winners are both the users and the manufacturer. 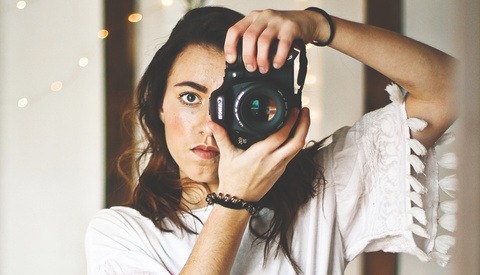 For the user, you can pick a camera that genuinely matches the style of photography you do. For the manufacturer, it means having a single camera, a single design, a single production line, and multiple uses. Nikon appears to have finally cottoned on with the introduction of Z 6 and Z 7. We now see high and standard resolutions of essentially the same camera. With the introduction of the EOS R, Canon appears to be a little slower to dip their toe in the water. Will they follow and, indeed, will we see other manufacturers go down this route? Of course Sony also produces what we might call the "standard resolution" high-sensitivity camera in the shape of the a7S. Initially targeted at video makers, it's found significant favor with anyone that shoots in low light. In our haste to jump on the megapixel bandwagon, manufacturers have been less concerned with this sector, something I bemoaned when suggesting we should be buying cameras with the best quantum efficiency (rather than resolution) as so much photography is light limited. That said, if I was going to buy only one camera from Sony's lineup then it would be the general purpose a7 III. Has Sony unwittingly given birth to the best second camera you can own with the a7S II? However, even with a five year lead in mirrorless camera sales, significant sensor development and fabrication capacity, and cutting edge feature development (we'll conveniently ignore their woefully designed firmware), Sony still has one marketing trick up its sleeve. It sells its older models. Do you want the a7 at $798 or the a7S at $1,998 ? How about the a7 II ($1,598), a7R II ($1,998) or a7S II ($2,398)? Or the a7 III ($1,998) or a7R III ($3,198)? For some time Sony have continued production of superseded models, something which other camera manufacturers seem reticent to do. With the up front costs of design and tooling all fully implemented, the marginal cost for maintaining camera production is low, assuming you can keep the components coming in and selling the outputs. Which means that over the lifetime of the product, once the up-front expense of development is recouped, prices are able to move closer to the actual manufacturing cost. An a7 for $798 seems remarkable when the original camera cost $1,699 back in 2013. Which means that, as of 2019, Sony has seven new a7 models for sale, spanning a price range from $798 to $3,198. What other models will join Canon's EOS R? The traditional manufacturer mindset is that you "go to the market" to understand your users and then produce a camera that they want to buy. It's classic capitalism; develop a better widget than is already being produced, patent it, sell the heck out of it until someone else produces an improved widget, then repeat the process. Sony is doing that of course, but continues to sell its older widgets. The worry has been that keeping the units on sale might well cannibalize sales of their higher (and indeed lower) priced products. However, it seems that that isn't true and, given the feature creep of each new model, it simply offers greater granularity on model options for users across a range of budgets. If anything, it likely cannibalizes sales from other manufacturers. Sony and Fujifilm have been the betters and benefactors of the step change that is the mirrorless camera. However, it is Sony that has changed the marketing strategy of product models and this seems to have helped rather than hindered sales. With Canon and Nikon now entering the fray, users have an exciting choice of systems and have, hopefully, generated some competition. Nikon in particular seems to have embraced the multi-model route. Will we see Canon adopt a similar approach as it releases new EOS R system models? And will Canon and Nikon, in a similar vein, continue the production of older models? By moving to a base platform and faster iteration cycles, are we entering a new era of accelerated innovation and development akin to what we are seeing in smartphone photography? If nothing else, it's exciting to be a part of. Lead image by Reinhart Julian via Unsplash, used under Creative Commons. It's an interesting hypothesis, but I'm not sure that Canon would follow in Sony's footsteps here as they seem to have very different philosophies on producing cameras (for better or worse). I think if Canon were to utilize a similar model, they'd be giving up what has given them success in the past. It seems to me that Sony has offered relatively fewer camera lines in order to allow more resources to refresh each line quite rapidly (by comparison to Canon anyway). Offering the older versions of each line seems to lets Sony hit several price points without offering more lines, enabling their faster refresh rate. I think this favours the high-end of the market where by releasing quickly you can always stay ahead of the spec sheet race, but it takes from the lower end of the market because the lowest end models are older and may not have key new features. Canon has taken a different philosophy, instead offering lots of camera lines, each with a slow(ish) refresh cycle with the intent of hitting different price points and different niche uses at release rather than having a camera become a different price point niche over time. For instance, if Canon were to adopt Sony's philosophy, one might assume that the 7D would have continued to be produced alongside the 7D II, but that might mean that the 70D/80D wouldn't have been produced (though in all fairness, we would probably have a 7D III by now). I'd argue that the 70D/80D lines have advantages in that both have DPAF and flip screens where neither of the 7D's do. In other words, offering multiple lines at different price points lets Canon move some of their newer technologies to lower price points quicker. The same would be true in comparing the 5D IV and the 6D II - why offer a 6D II if you can keep producing the 5D III at a lower price point? 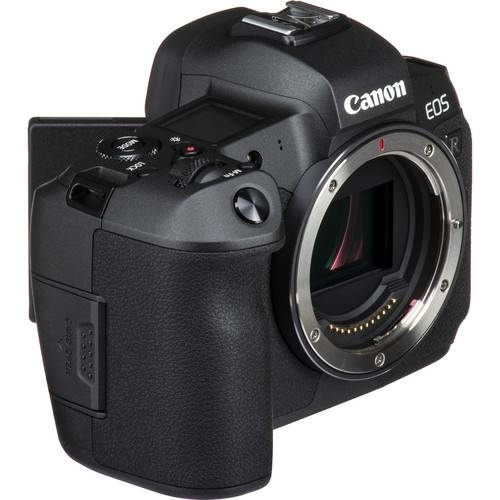 The advantage of the 6D II is again DPAF with a flip out screen, and some weight savings. 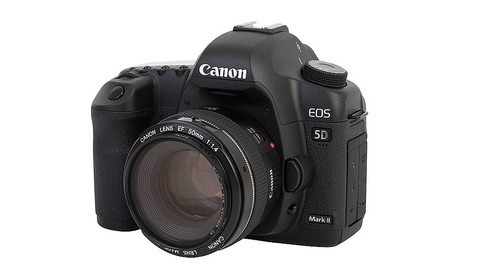 The 5D and 6D series cameras are targeted at different buyers, so I'm not sure that offering a cheaper 5D III would have the same impact as a 6D II. Looking at what Sony could have done under Canon's philosophy, we might see some of Sony's newer features in lower priced bodies. For instance, had Sony maintained more lines rather than offering older cameras, the price point below the a7iii could be a lower-end model which still takes advantage of the a7iii's improved autofocus and battery performance over its predecessor rather than offering the a7ii. Obviously that comes with the penalty of a slower camera release rate. 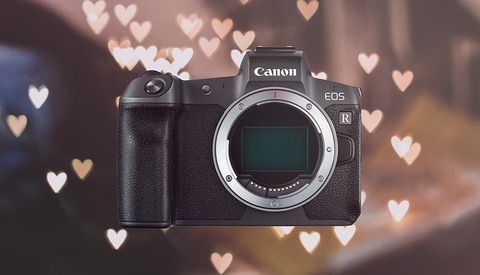 They each have different philosophies, and I'm not going to suggest one is better than the other, but I have a hard time seeing Canon change how they approach the market when they seem to make their bread and butter off of getting their newer features into low-end models. There's another trend just starting to hit the camera industry: software unlockable features. Olympus is the first to dip their toes but I doubt they'll be the last. In the electronics industry, this is pretty common. Rigol makes a line of 3 or 4 oscilloscopes with identical hardware but software unlockable performance and features. It's cheaper to make one board and one processor then just artificially limit it to 50 MHz unless the user pays to unlock it up to 100 MHz. With more and more focus on these crazy AF tracking software features I think that's coming. I could see Sony putting the A9 processor into their whole line of cameras then locking their new focus modes out of the lower end models. A6400 it's said to have A9 processor. The reason is because the big costs are in the design and making different versions of the software to run into many different processors. By keeping the processor the same on the same gen bodies they keep costs down in two fronts: less R+D on hardware and software. There' just SO much to keep up with...my head is spinning. Call me old fashioned or an idiot (more like it), but I'll just continue on with my 35mm and medium film format...scan them and do PP if I want to or need to. I'll use the digitals as needed or warranted. I already have way too much equipment. If my wife finds out I got another one....she'll kill me and then divorce me...in that order. What about the support of SONY for Mark I bodies ? I read a few bad stories where the cheap Alpha 7 had a serious problem and SONY refused to repair the unit because they do not have parts or whatever excuse. What is the real experience then ? Multiple models imply maintaining multiple line of products maintenance, even if you are feeling there is zero difference between A7 mark1 - A7 mark2 and A7 mark3 . The reality is that you have to keep spare parts, educated technicians and support units.